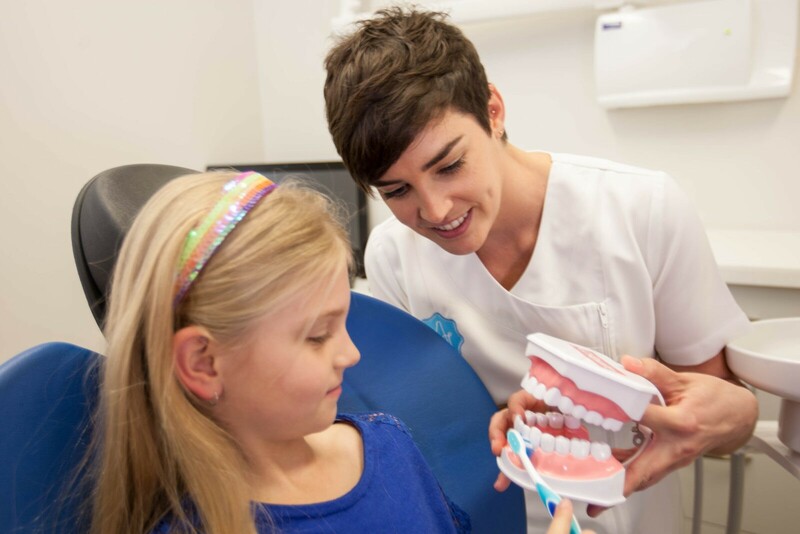 At Aim Dental Group we are so lucky to have Oral Health Therapists to offer a range of dental therapy procedures and education to younger patients. An Oral Health Therapist is a licensed oral care professional who works in conjunction with the dental team, providing clinical and therapeutic care. As well as providing cleans and whitening to all ages of patients (just like dental hygienists), oral health professionals may also provide fillings, replace crowns and perform extractions of baby teeth. Oral Health Therapy is an important step in providing children with positive growth. We are proud to provide a service to families in the community that recognize the importance of a child’s well-being. Oral Health Therapists have a strong working relationship with our Dentists. This relationship provides a supportive and collaborative approach to the delivery of Dental treatment to children.